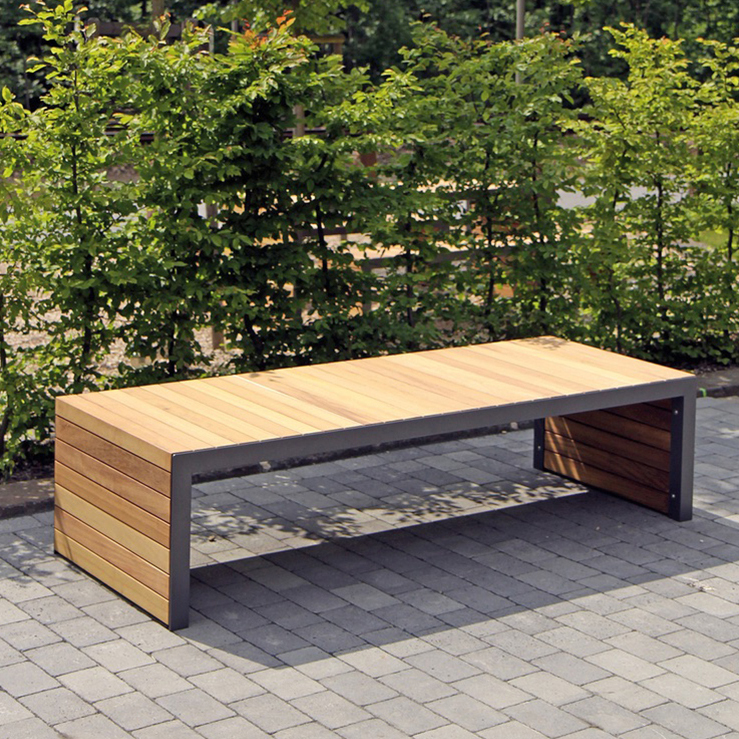 Bailey Streetscene were approached to provide social outdoor seating for the Fletcher Complex. 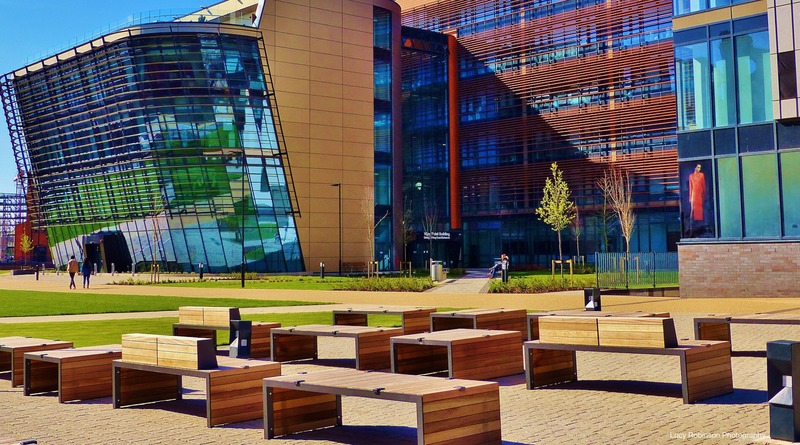 This seating area was designed to look onto the large outdoor video screen that is on the side of the Vijay Patel Building. 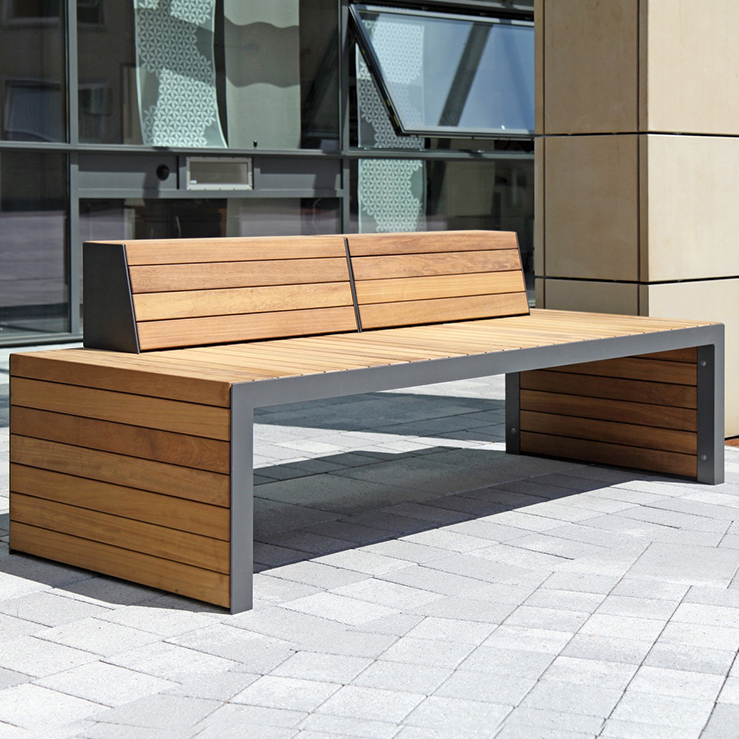 A variety of products from the Bailey Streetscene Linares seating range were chosen as a more attractive alternative to a plain concrete block design that had initially been proposed by a different supplier. 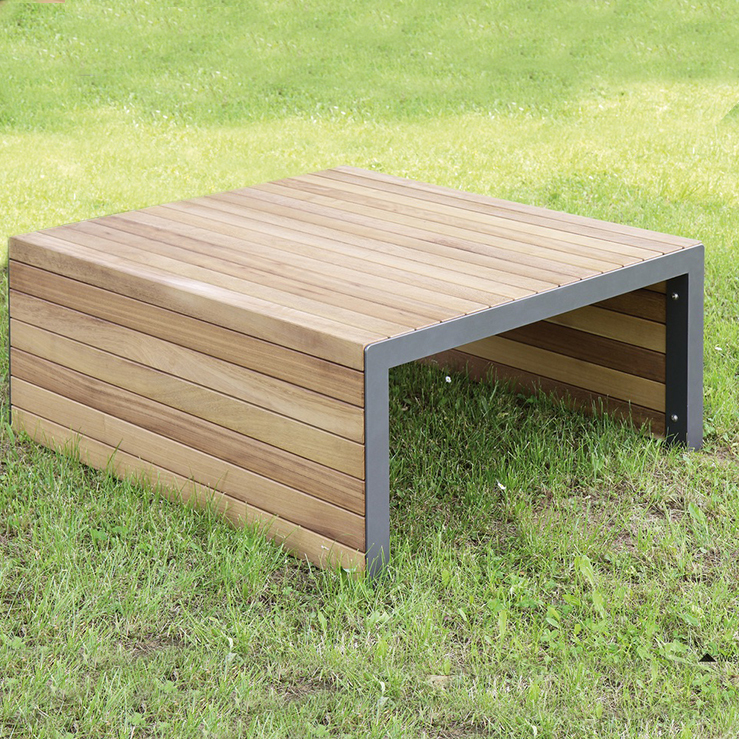 As a natural choice for campuses, the Linares product line was chosen based upon its modern, minimalist looks, its flexibility and also the fact that, despite its designer appeal, its cost fell well within the client’s budget. Bespoke anti-skate studs were also fitted to all benches, seats & stools supplied, to discourage any skating activity and the subsequent damage it can cause. The Vijay Patel Building has been shortlisted for both Best Educational Building and Best Large Commercial Project at the Local Authority Building Control 2017 Building Excellence Awards for the East Midlands. The new seating area has created a versatile and informal gathering space for students to socialise in as well as acting as “theatre seating” to the large outdoor multimedia screen.